All participants must be members of FAR to participate. There is a $5.00 event membership fee for those who wish to participate but do not want to join FAR at that time. The event fee is applicable to full membership if full memebrship is activated within 9 months. Regardless, all participants must sign FAR�s Activity Sign-in Sheet before participating in field trips, clean-up events, or any other activity on or near the water. 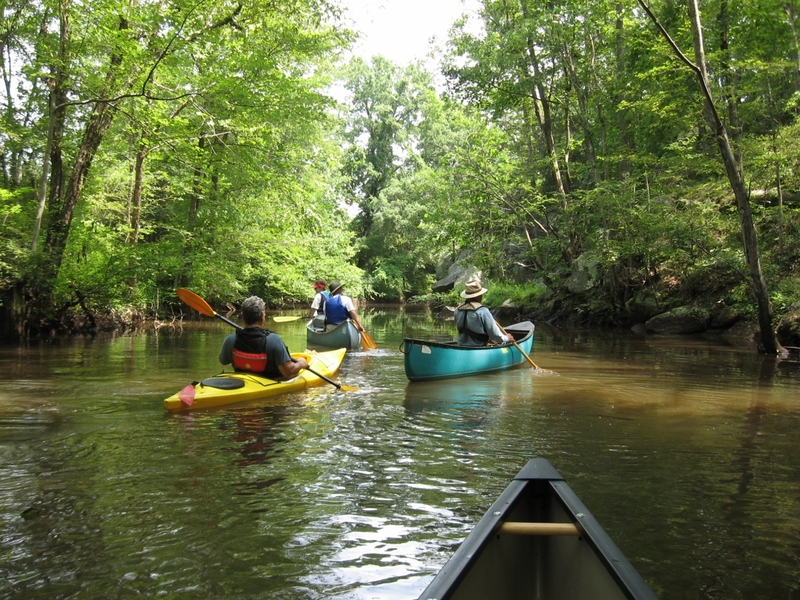 Since it is impossible for the Friends of the Appomattox River to determine all hazards that may be present in the course of an event, participants must determine for themselves if they have the experience and ability to safely participate. Participants are not required to be members of FAR - just pay the event membership fee and go. Participants must supply their own boat, paddles and safety gear. A suitable life jacket must be available for each person in each boat. Participants should wear appropriate clothing for the activity and weather including sturdy shoes that can get wet. Socks, long pants and long sleeves may be necessary if poison ivy and insect bites are a concern. Participants are encouraged to bring water, snacks, insect repellent, sunscreen, and a hat. The Friends of the Appomattox River reserves the right to make last minute schedule adjustments in view of unforeseen circumstances that may develop. Feel free to nominate another member, but please get that person�s permission before the meeting. If you cannot attend but wish to vote on the Directors, send an e-mail to Suzanne Crouse.